This year, for the first time, RS Barcelona attended Orgatec fair, where they went with its brand new office concept under the motto “Great ideas come from playful minds”. You never know when a good idea can arise, but in a relaxed, dynamic and playful environment, creativity is triggered and ideas flow between game and game. 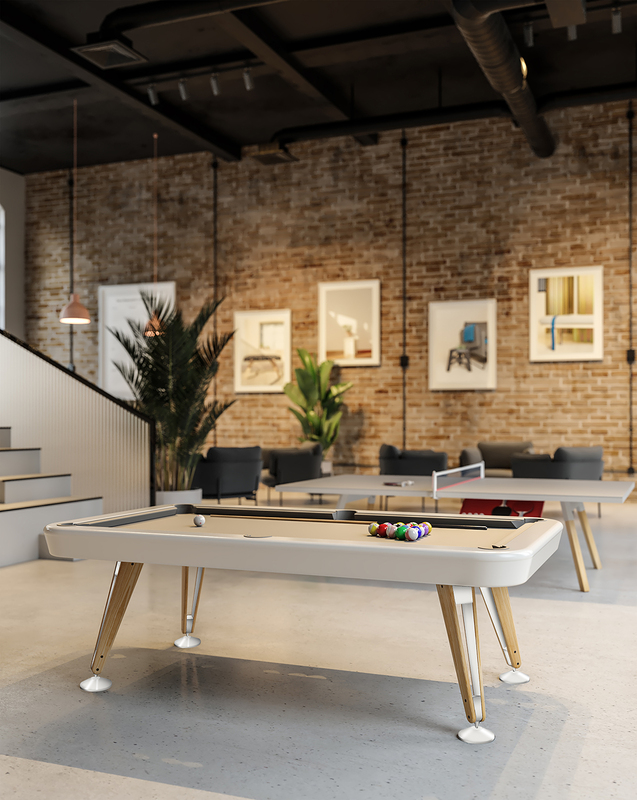 RS Barcelona’s office concept is an office where there is room for work, no matter how hard it is, and for breaking away for a while playing: table football, ping pong and from now on also pool table matches. 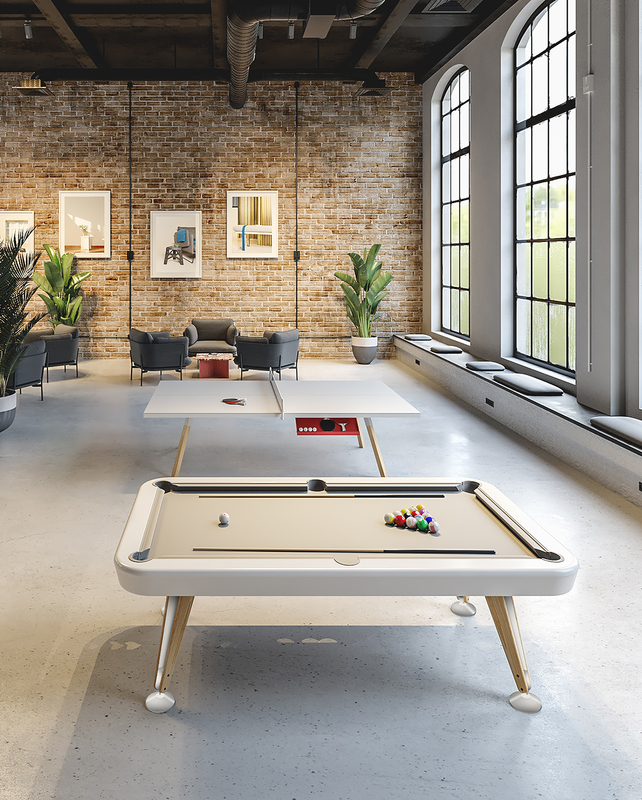 Like a diagonal line, which crosses a space from end to end, the new RS Barcelona pool table fills any room with design, elegance and a playful attitude. 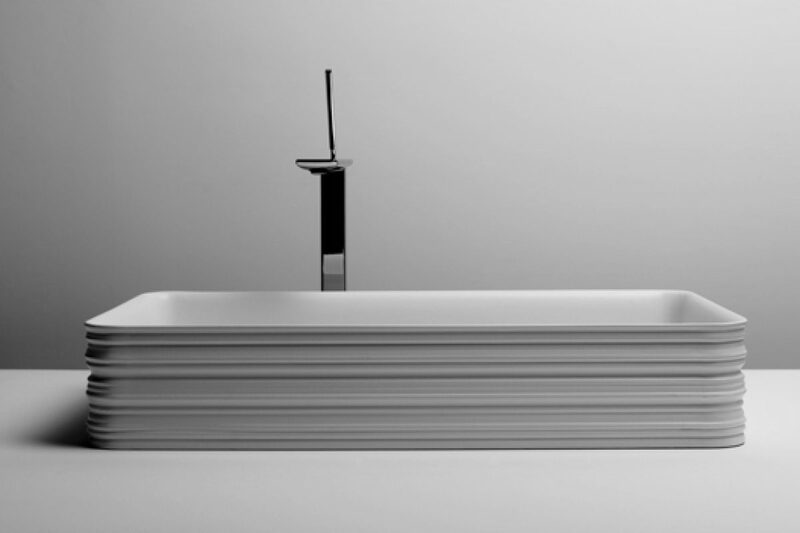 Diagonal pool table, designed by Yonoh, is inspired by the perfect lines of the game and one of the main streets of Barcelona, the city that inspired it and where it is manufactured. 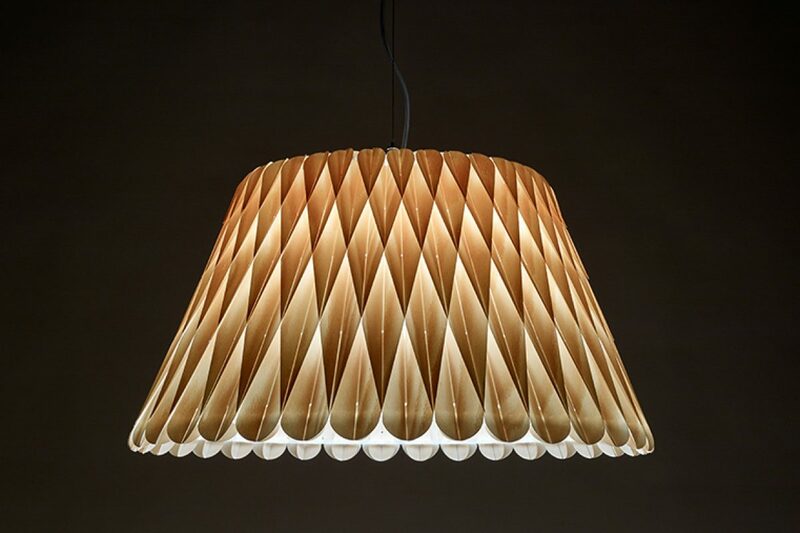 It shows in its design and in its simple and innovative forms that make it unique and timeless. 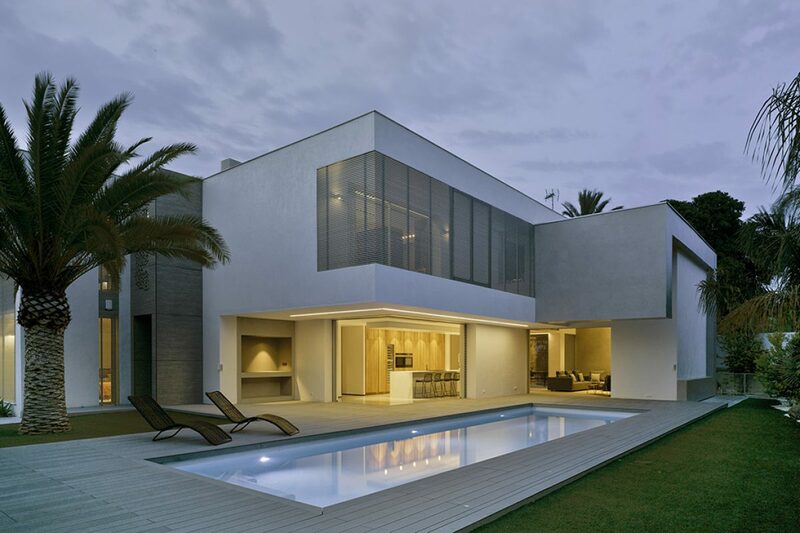 Diagonal has achieved the perfect blend between play and design. 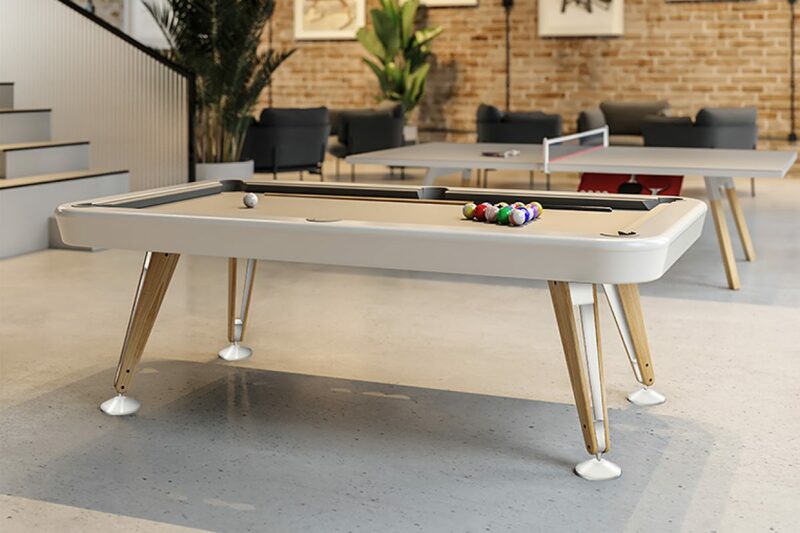 With its light and modern lines and its variety of high-quality finishes, it fits into any environment, either alone or with one of the RS Barcelona football tables or the ping pong tables. Enjoy the game without giving up the design. Diagonal pool table will travel to Orgatec with the new metal and staking Ombra stool. 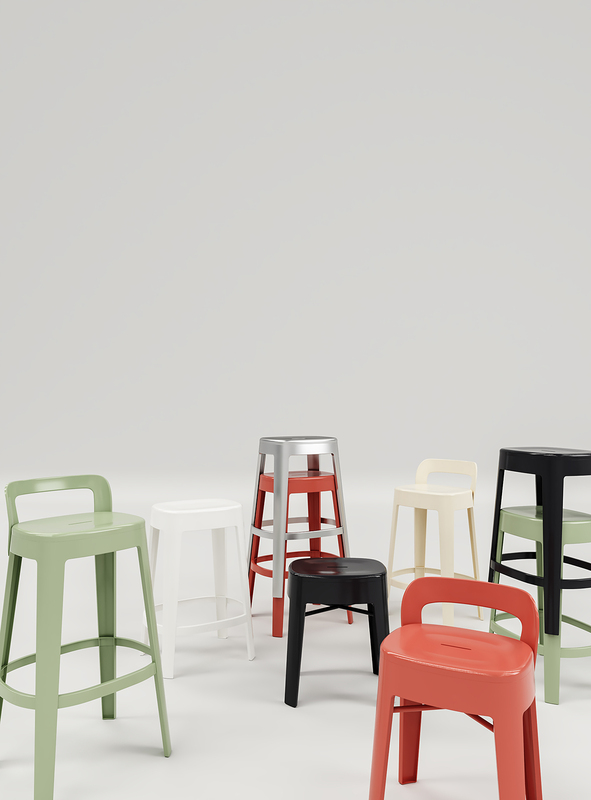 The Ombra stool, designed by Emiliana Design Studio, has its own place in any space: in a bar, restaurant, terrace, office or home. 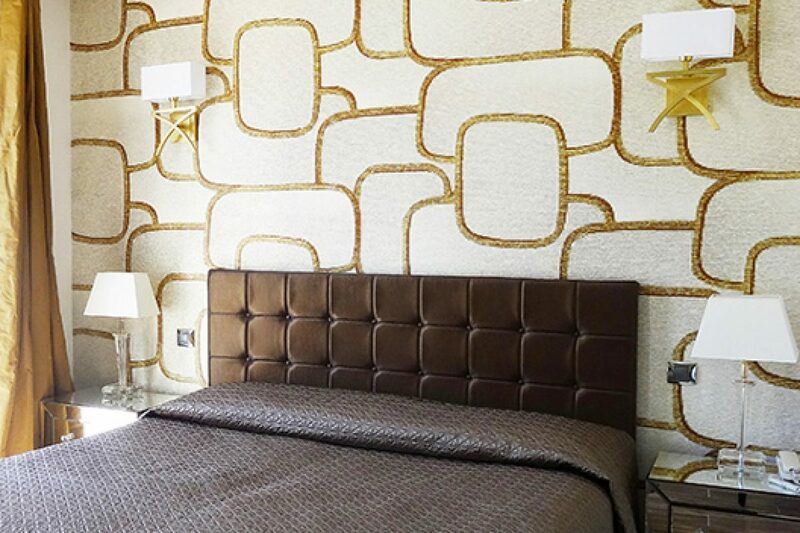 Its clean and elegant look, its different finishes and its wide range of colours, adapt to any style and environment. And its generous measures and the ergonomic shape of its seat provide a comfortable sitting. 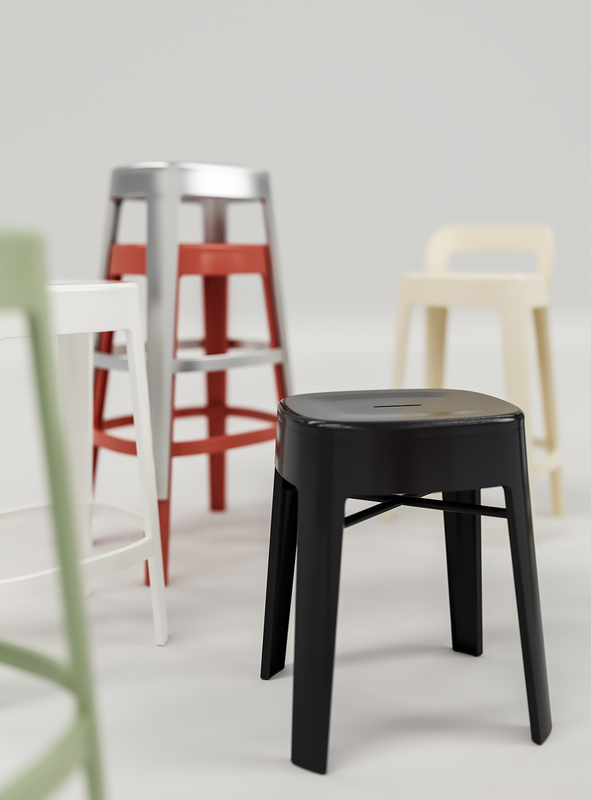 Versatility, lightness, resistance and functionality are, together with design, the words that best describe the Ombra stools. 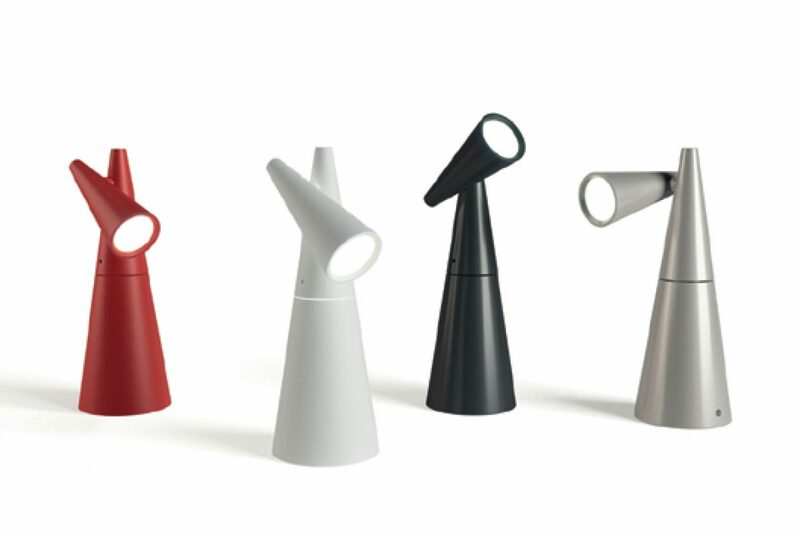 Whether in its tall, medium or low version, with or without a backrest, take your Ombra and, please, sit down. Versatility is also the word that best define the new table collection designed by Antoni Pallejà Office for RS Barcelona. 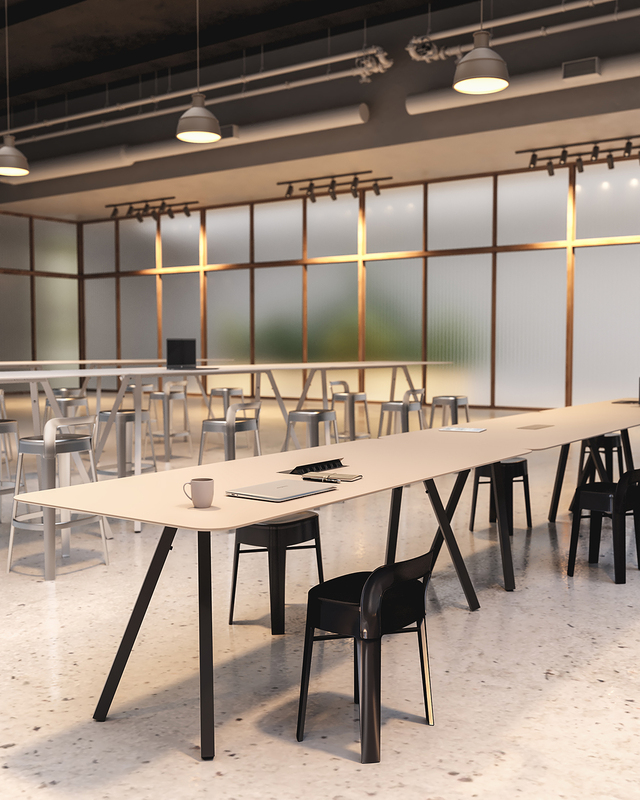 Versatility in functionality: as a standard office table, meeting and conference table, as a hotdesk or even for the canteen. Versatility in its measurements and heights: 5 lengths, 2 widths, and 2 heights. 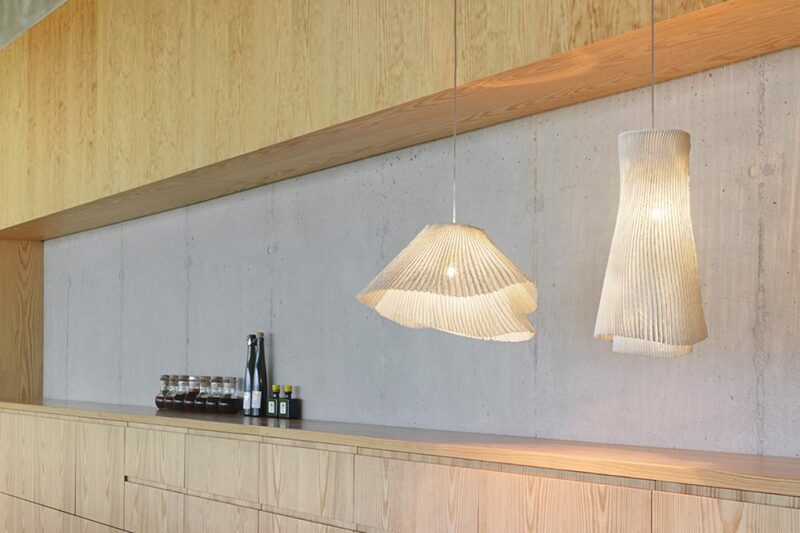 Versatility in its finishes and colour range: wood or Fenix. And versatility in electrification: multiple solutions for connections and wiring. 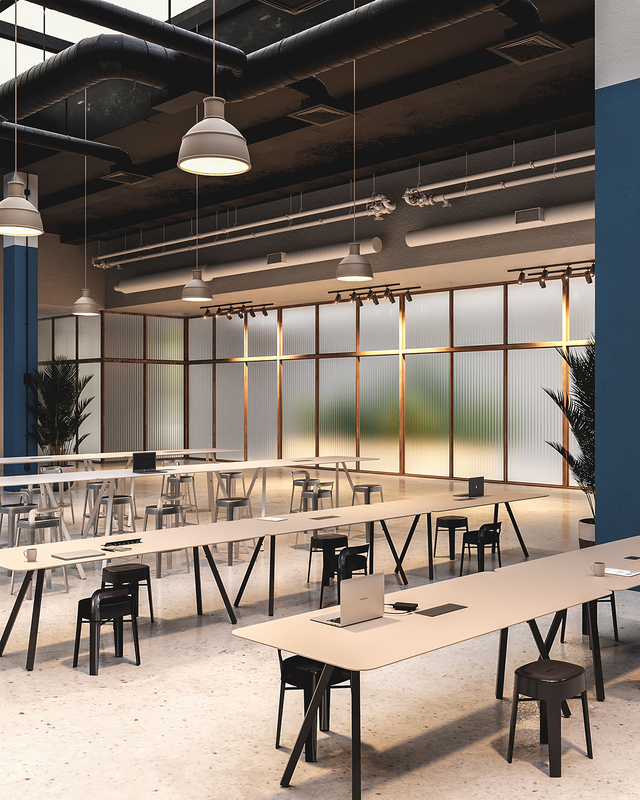 The B-Around table collection fulfils all office requirements and promotes mobility, healthy postures, and communication in the workplace. B-Around is a table to work around, to eat around to live around. To be around.